You can sign up for a school account by clicking the Try it free button on our homepage. When you get to the Pricing page choose a plan based on how many learners and teachers you want in your school. If you don't see a plan that fits your needs, click Contact us and we'll be able to help you. All our plans come with 30 free days to try out the service. Next you will need to login or register for a Read Listen Learn account. If you already have an account, click Login here and enter your email address and password. 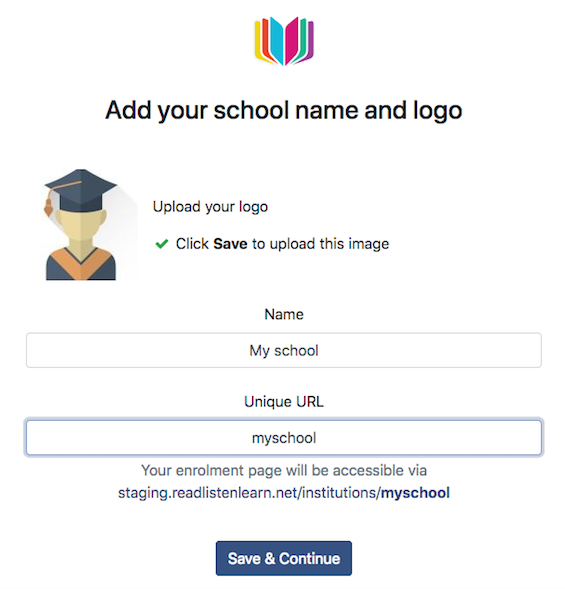 You can then enter some more details about your school so that we can set everything up for you. 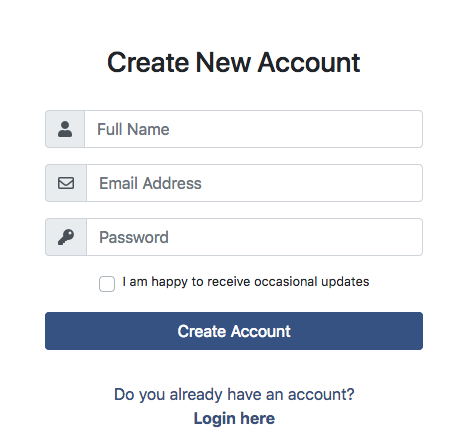 Next, click Save and continue and you will see the Getting Started page where you can find information about how to use the service and start inviting learners and other teachers to join you.